The War Memorial at Wing stands in the churchyard of All Saints Church and was officially unveiled by Captain Anthony de Rothschild on 5 December 1920. His brother Evelyn Achille de Rothschild was one of those killed in World War One. 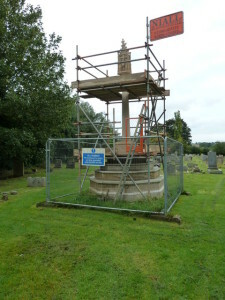 It has a multi-layered octagonal base. 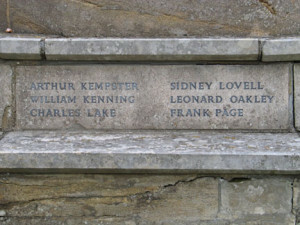 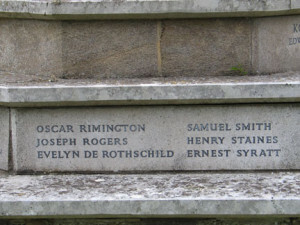 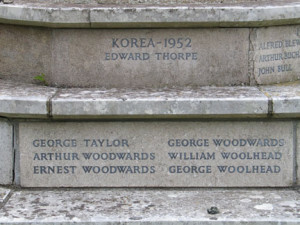 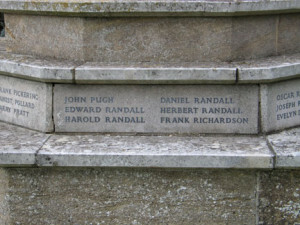 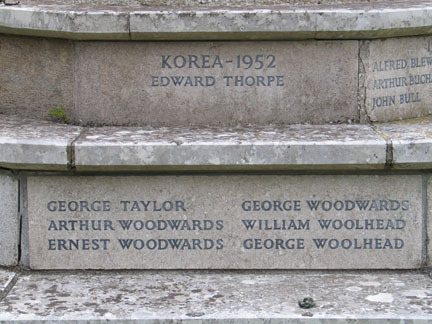 The names of those Wing men killed in World War One appear around the second layer, listed by surname then in order by the date they died, and on the top layer appears the names of those killed in World War Two and Korea. 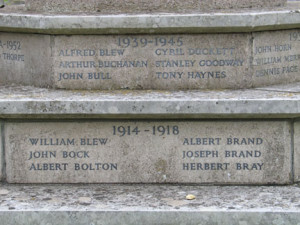 There is an inscription on the fourth layer which reads: “To the memory of the men from this parish who gave their lives in the Great War 1914-18. 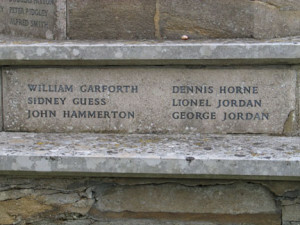 Rest eternal grant unto them O Lord and let light perpetual shine upon them”. 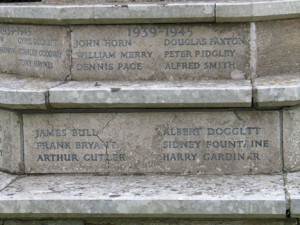 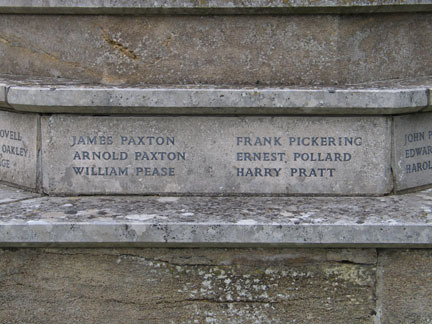 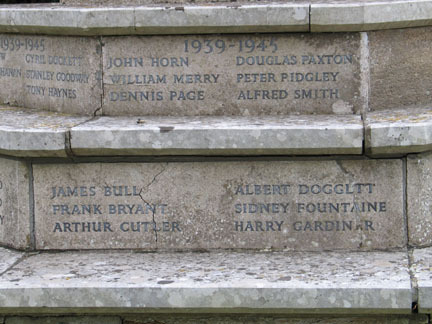 The memorial was built by Thomas Yirrell of Linslade at a cost of £270, and was restored in 2012 by The Stone Shop of East Farleigh in Kent at a cost of around £27,000. 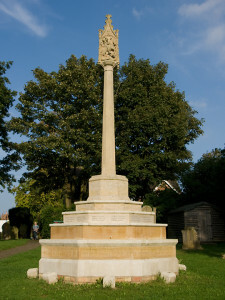 The restored memorial was re-dedicated on Remembrance Sunday 2012 and the ceremony was attended by Captain Anthony de Rothschild’s grandson, also called Anthony. 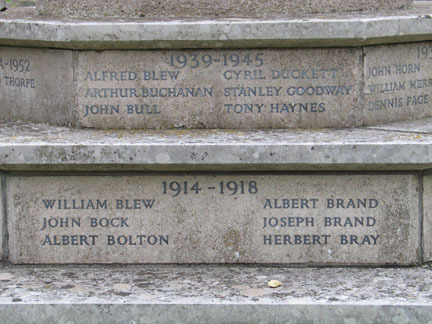 The following men, along with many others, are listed on my Military pages. 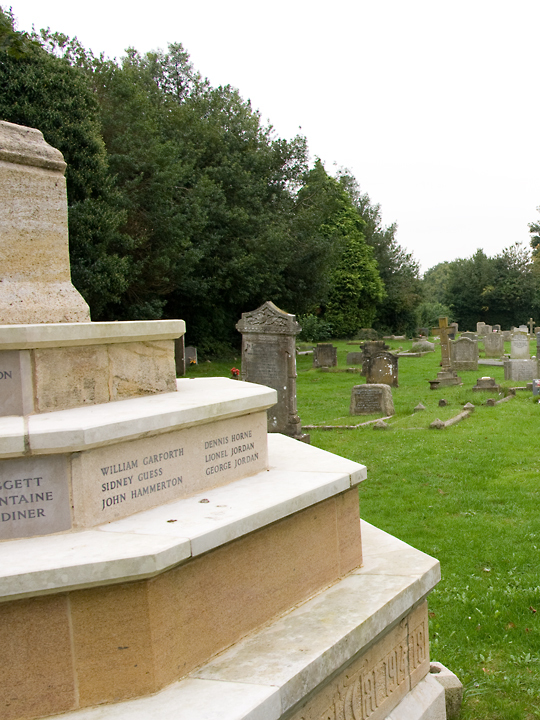 You may also like to visit the excellent Buckinghamshire Remembers website. All photos above © Alex Coles September 2013, all photos below © Alex Coles July 2005.